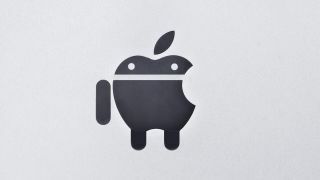 Apple is to have another chance to convince the courts to ban certain Motorola phones in the US tomorrow. Now that Google has acquired Motorola Mobility, this particular patent-based case has become iOS v Android: To The Death (Hollywood, you're welcome). Judge Richard Posner will be in the unenviable position of having to declare yay or nay to Apple's arguments, which could have a knock on effect to Apple's other patent cases against the likes of arch-nemesis Samsung. In early June, Judge Posner said that any sales injunction would be "contrary to public interest" but is still willing to hear Apple's latest arguments which have been put forward privately in advance, as have Motorola's. It's unlikely that Posner will rule in favour of banning any handsets in America, however. When planning the court date, he wrote that both companies should be prepared to accept royalties in place of a ban.